A menace from below! 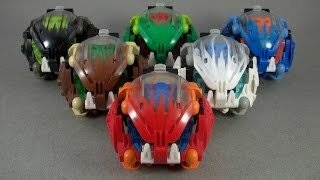 The Nuhvok are the tunnelers of the Bohrok, using the power of their shields to blow up rock and blast passages through the earth. They even have the power to bring down a mountain! Although their reactions are slow, they are dangerously fierce when cornered. When their krana is removed, they can be put to work rebuilding what they have destroyed.